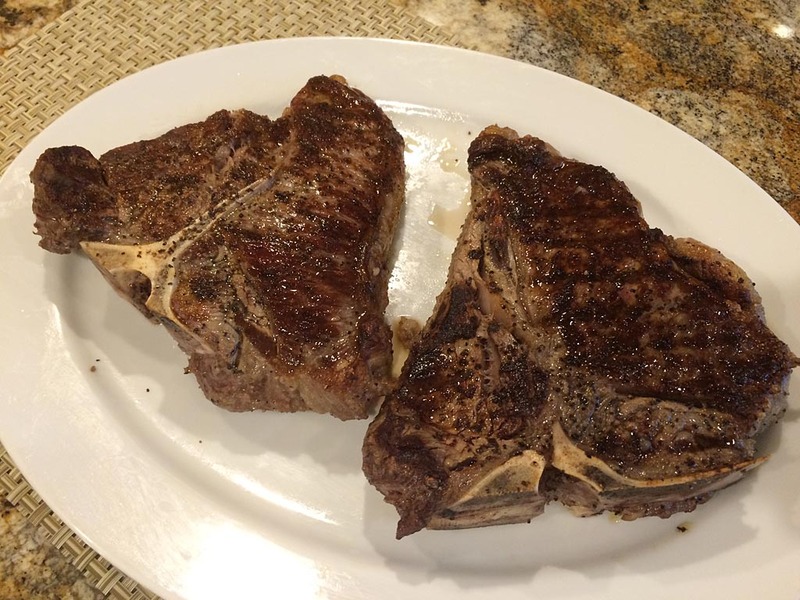 The porterhouse steak is one of my favorites because it’s two steaks in one: the larger strip steak on one side of the bone and the smaller tenderloin steak on the other side of the bone. The strip has better flavor, but the tenderloin has better tenderness. 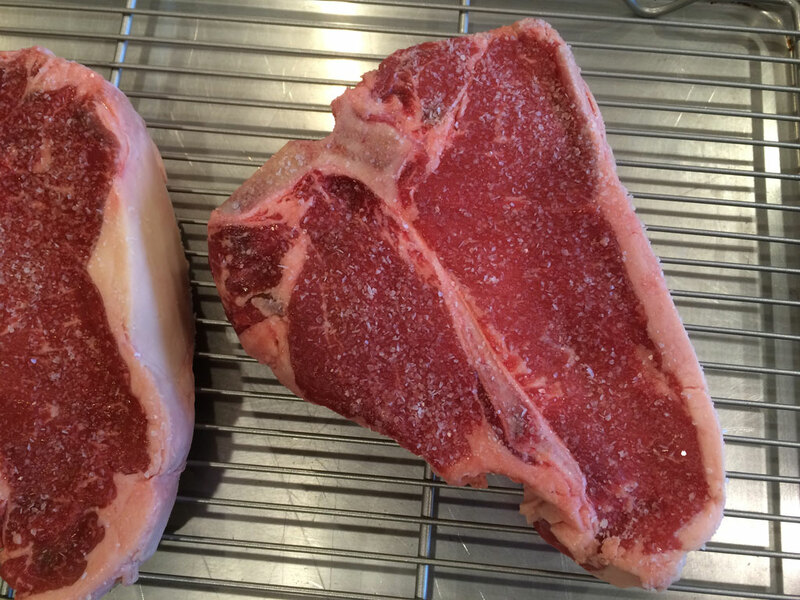 The porterhouse steak is the best of both worlds! 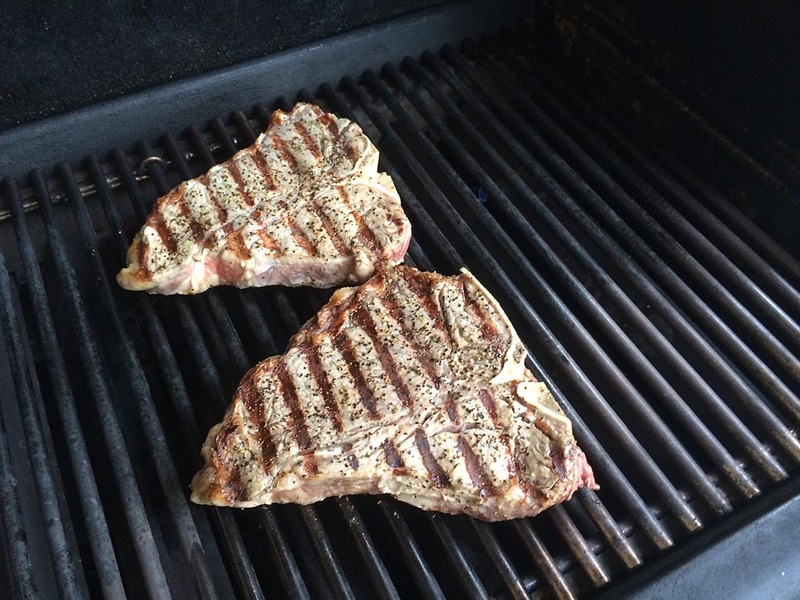 I’ve grilled these steaks over direct heat for years with good results, but grilling indirect with a reverse sear at the end is all the rage these days, so I thought I’d give it a try with these two beauties. The process I followed comes from a recipe in Cook’s Country magazine. 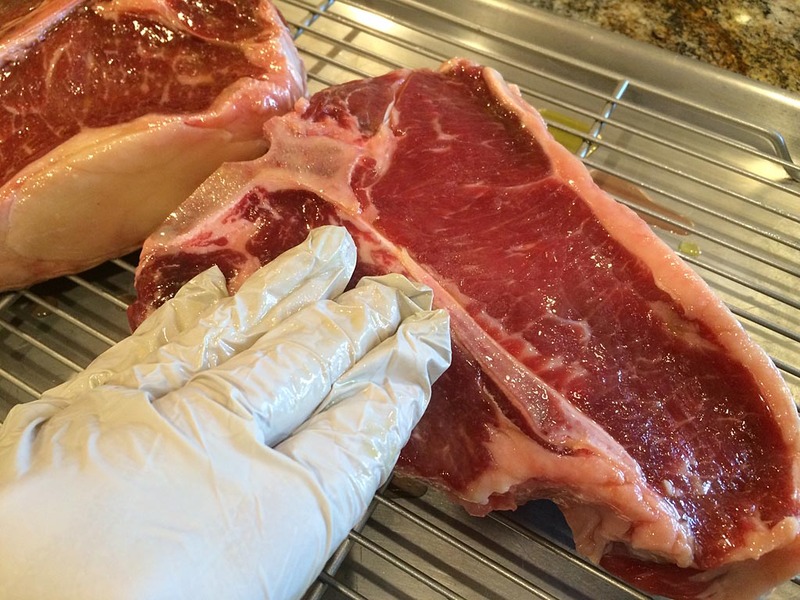 Place the steaks on a wire rack over a rimmed baking sheet. Pat dry with paper towels then sprinkle with kosher salt. 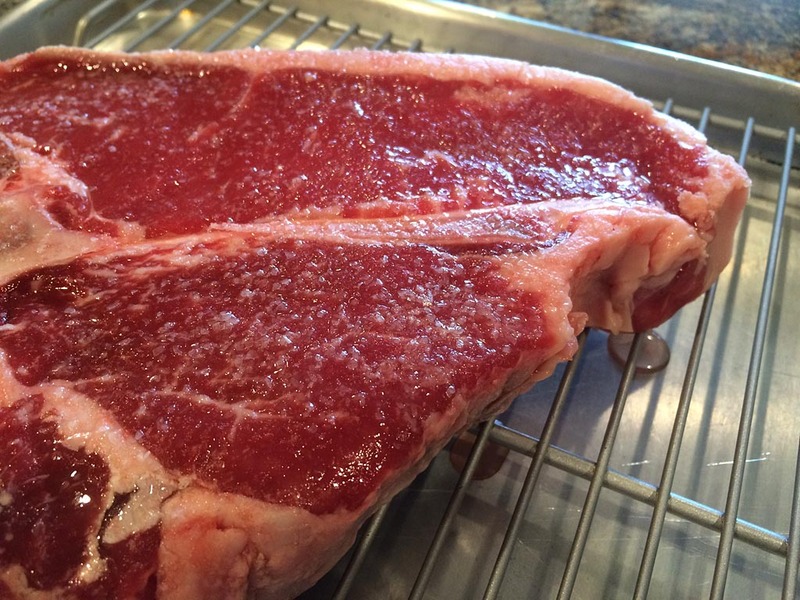 Let sit at room temperature until the steaks register an internal temperature of 55*F, about 60 minutes. 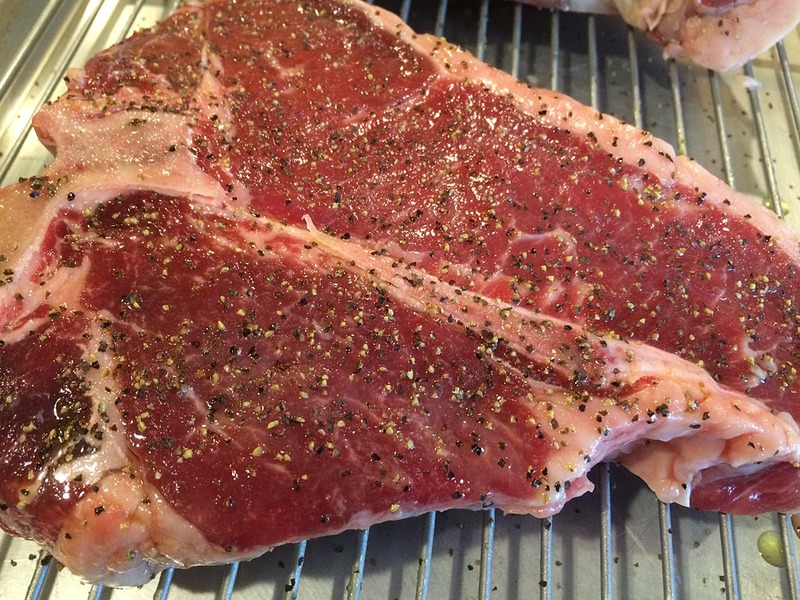 Once the steaks hit 55*F, rub both sides with olive oil and sprinkle with freshly cracked black pepper. About 45 minutes into the salting process, preheat your gas grill with all burners on HIGH for 15 minutes, then clean the grates with a grill brush. 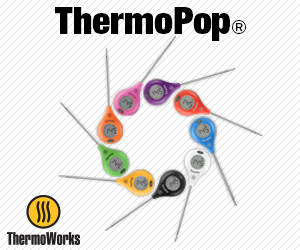 Turn one burner to MEDIUM LOW and turn off all the other burners. 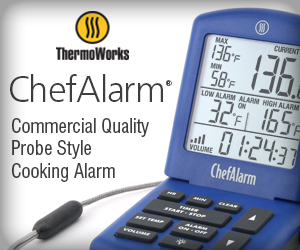 Adjust this one burner as needed to maintain about 300*F.
Medium low burner is to the right of the steaks. Burners under the steaks are turned off. 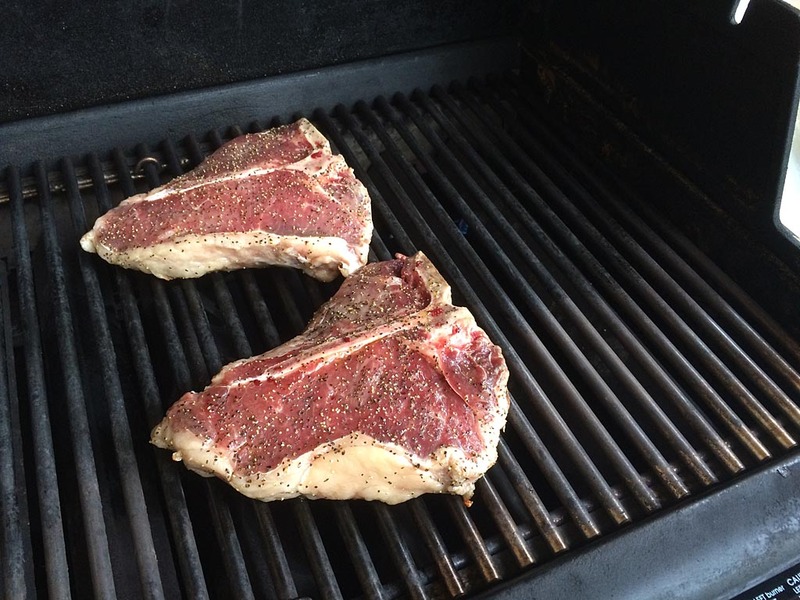 Place the porterhouse steaks on the grill just off the edge of the fire, with the bone-end facing the lit burner. 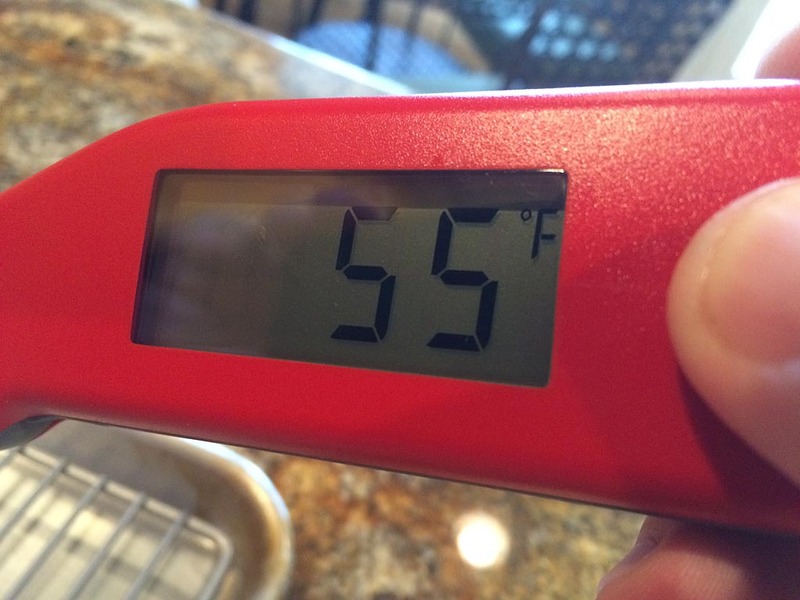 Cook the steaks to 75*F, about 10-20 minutes. 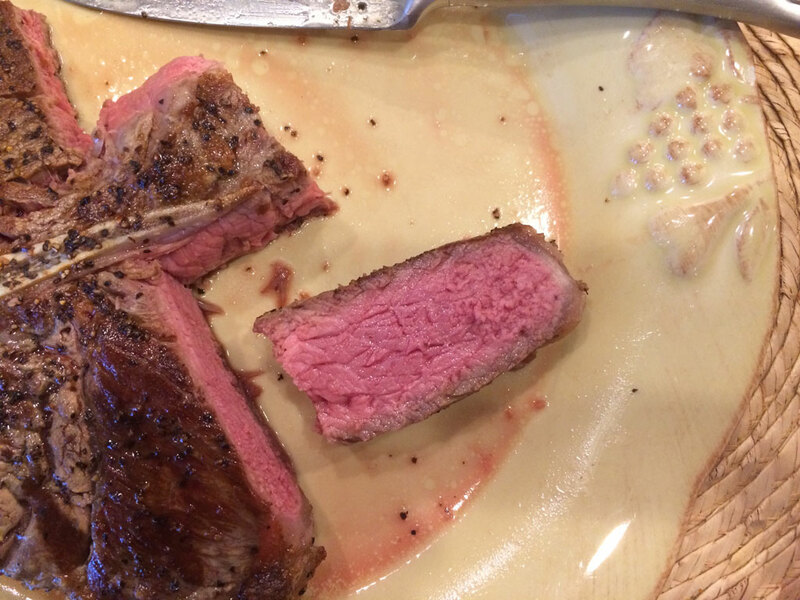 Flip the steaks, keeping the bone-end facing the lit burner, and cook to 95*F, another 10-20 minutes. Put the steaks back on the grill (or griddle or plancha) and sear both sides until well browned to an internal temp of 120*F for medium-rare, about 4 minutes per side. Remove steaks from the grill, cover loosely with foil and let rest for just a few minutes while getting the rest of your meal to the table. 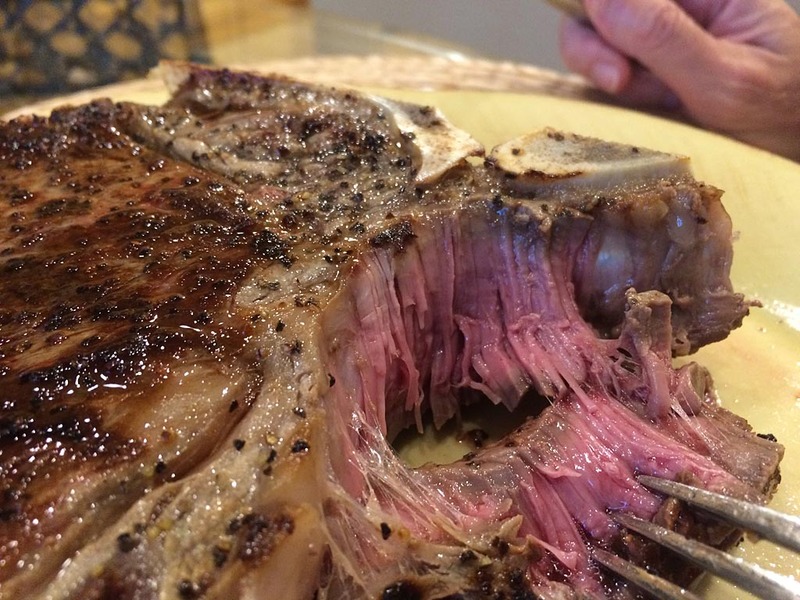 The indirect cooking process with reverse sear results in evenly done meat with minimal overcooked meat at the surface of the steak. The process is a little fussy and takes a bit more time versus the typical direct cooking process, but the results are worth it.